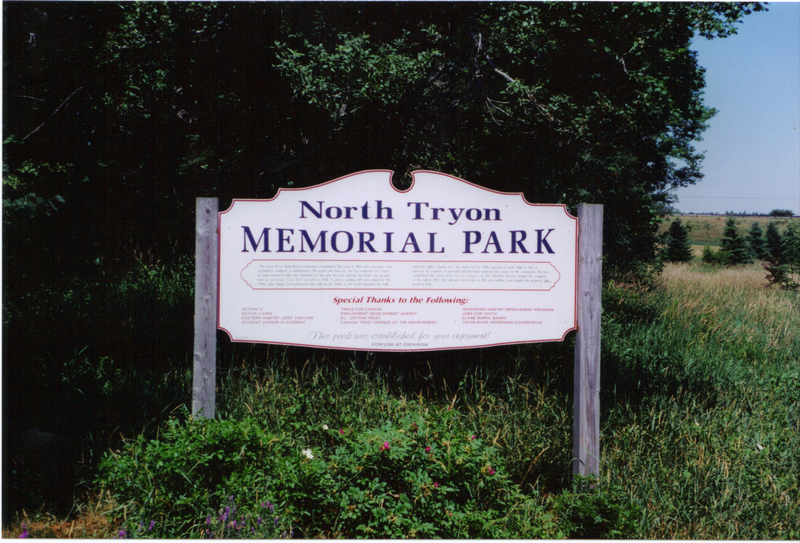 There are two trails in the community, Lord’s Pond at North Tryon, and the Tryon River Trail at Tryon. The trails are maintained by the Tryon River Watershed Cooperative, and link many of the natural and historic sites of the area. Both trails offer good bird watching opportunities and they are also part of the geocaching system. Lord’s Pond is a reconstructed mill pond and features a fish ladder, fishing platform, sediment basin, and domestic water fowl. 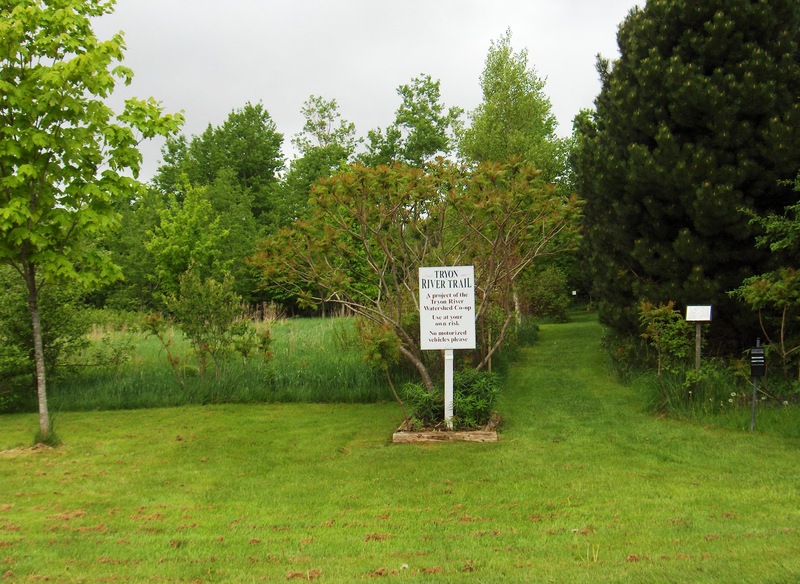 An easy walking trail about 1 km in length surrounds the pond. The trail is accessed at#57 Lord’s Pond Road just off the TCH at North Tryon. The Tryon River Trail links the churches, cemetery, salt-water marshes, fresh water bogs, meadows, and small woods. 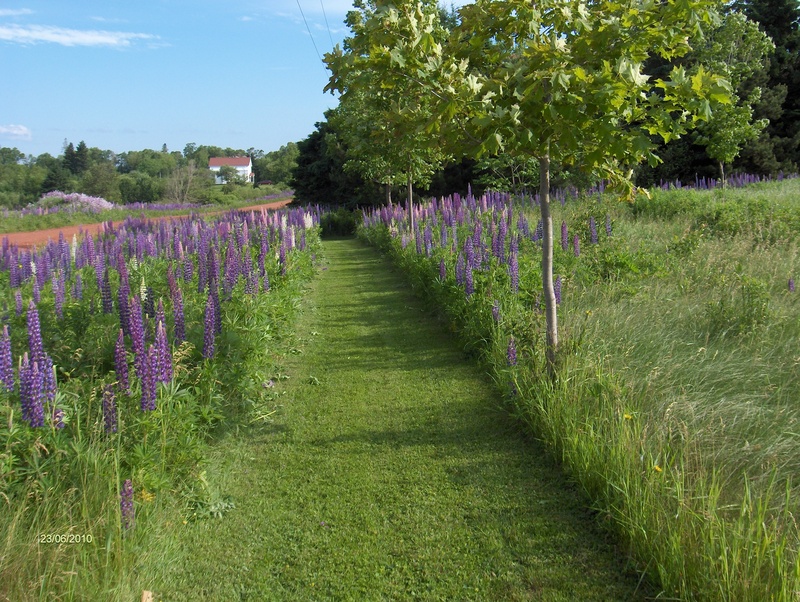 The trail is in the area where the first white settlers, the Acadians, built their homes, and also follows on or near the foot-path of the later English settlers as identified on an original map of the area. Various plants, shrubs, trees and historic sites are identified with QR codes which are linked to other web sites for additional information. There are two loops to this trail, a short easy section, and a longer more difficult section about 2 km in length. Be sure to take binoculars and a camera with you when you visit the trail. The trail is accessed adjacent to #49 Route 10 in Tryon. This Guided Walk will help you interpret the trail. The Tryon River was important to the early settlers for navigation and fishing while the dams on the upper two tributaries provided power for various mills. Hay was harvested on the marsh with the Acadians being the first to develop a system of dykes and canals to control the flow of water. An important shipbuilding industry was also carried out on the river banks. The river is an important spring and fall migration area for Canada Geese, Black Ducks, Brant and Teal. During the summer months Bald Eagles, Osprey and Blue Heron are frequently seen fishing in the river. Although not often seen, mammals such as muskrat, weasels and mink make Tryon River their home. 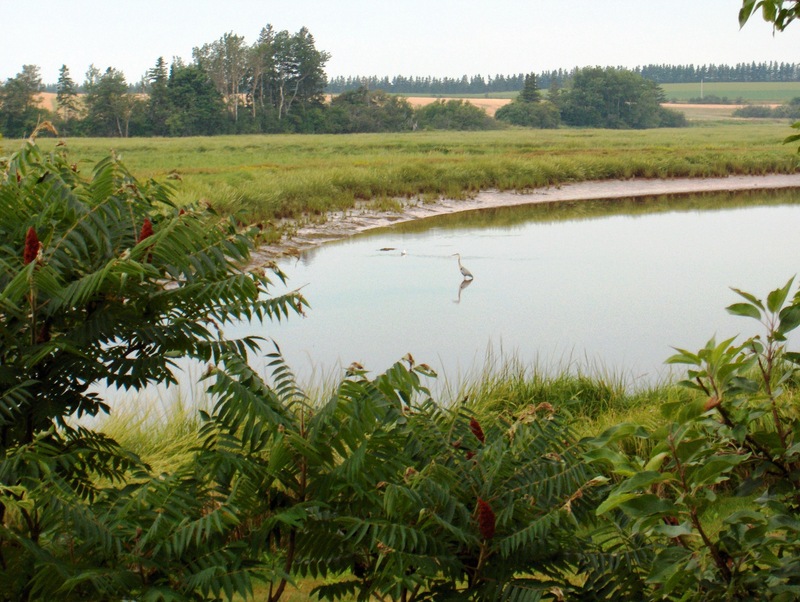 The estuarine region is important as a nursery area for larval fish such as smelt and gaspereaux. Once hatched they drift into the river where they feed and in turn provide food for larger fish. 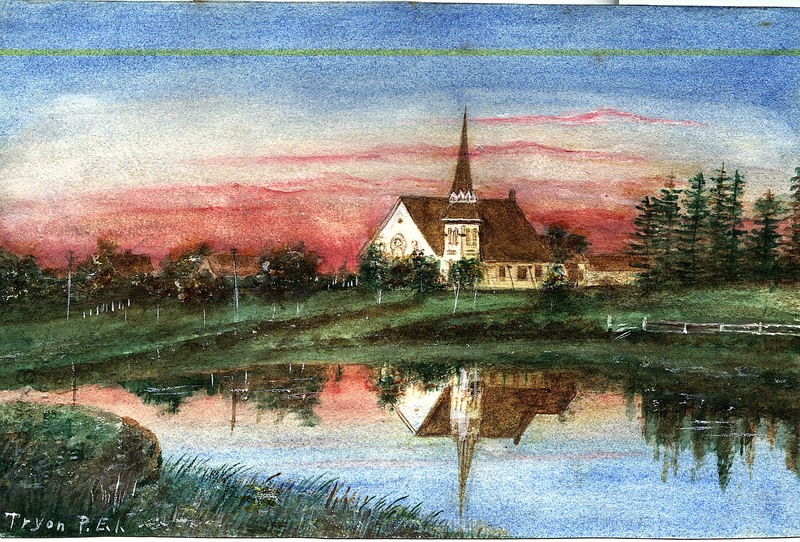 South Shore United Church.The building was built in 1882. In 1992 the building was designated as a National Historic Site to commemorate 200 years of Methodist roots, and to recognize this fine example of Gothic architecture designed by the famous architect, William Critchlow Harris, 1854-1913. Additional space was completed in 2008. 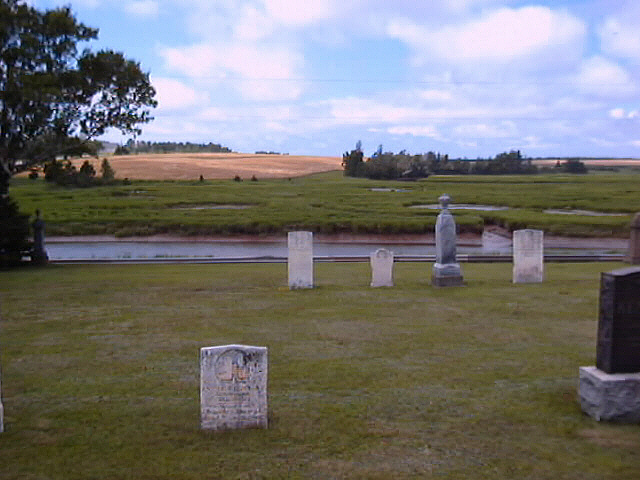 The Tryon Peoples’ Cemetery is a pioneer cemetery overlooking the Tryon River. It was incorporated in 1920. One of the first burial sites is for wife and several descendants of Surveyor General Capt. Samuel Holland. Up to date records are kept by the Cemetery Board. For more information please click on this web page: Tryon Peoples’ Cemetery. 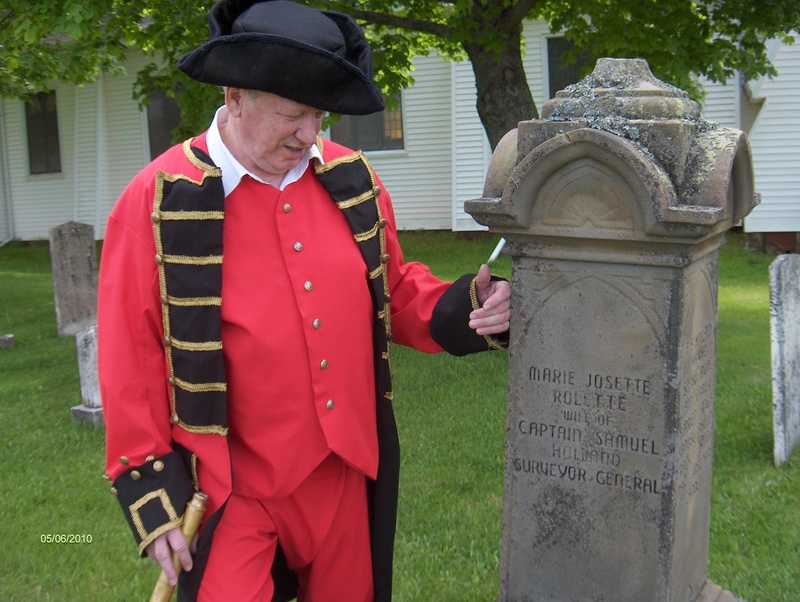 George Dalton, 6th generation grandson of Surveyor General Samuel Holland visits the family plot in the cemetery. The Tryon Baptist Congregation was established by Alexander Crawford in 1814. 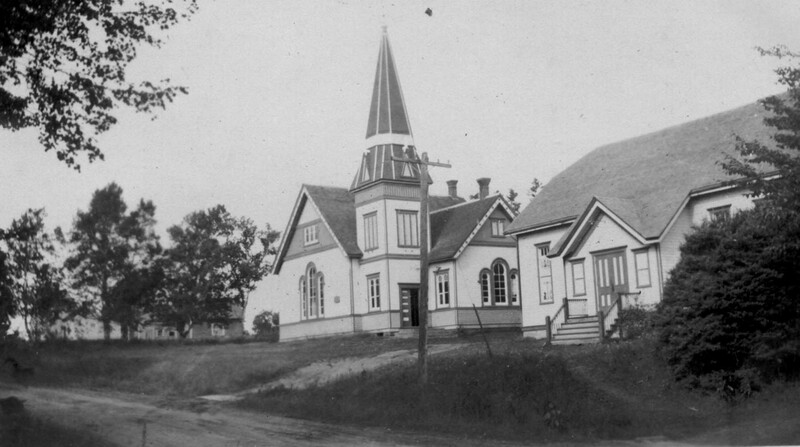 The present Church building was erected in 1864, and remodeled several times in later years. 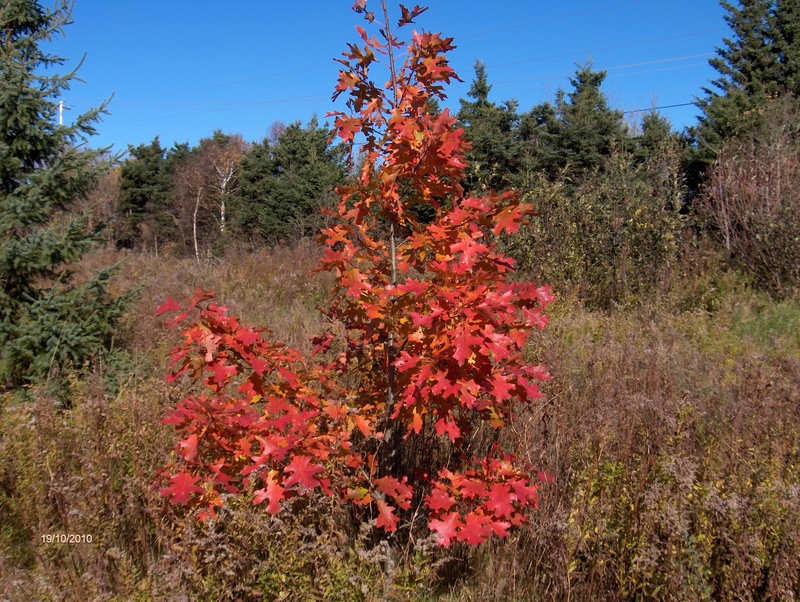 The Red Oak, the Provincial Tree, is the signature tree on the trail, and you will find many other native shrubs, trees and plants. The Highbush Cranberry is a beautiful shrub which serves as an emergency food for wildlife.